Don’t get too carried away with the rest and relaxation – just because your turfgrass is dormant, it doesn’t mean you should be! When all the leaves and debris have been cleared from your turf and it’s not quite time to start thinking about herbicides and pesticides, it is still time to tackle the tasks that can help your lawn or managed turf area stay beautiful this spring and summer. Clean your mower. Remove all dried mud and grass and give the body and engine parts a good scrub. Drain the gasoline. Old gas can cause difficulty starting this spring. Change the spark plug. Do this yearly to prevent stalling. Replace or clean the air filter. Simple step for improved performance. Sharpen the blades. 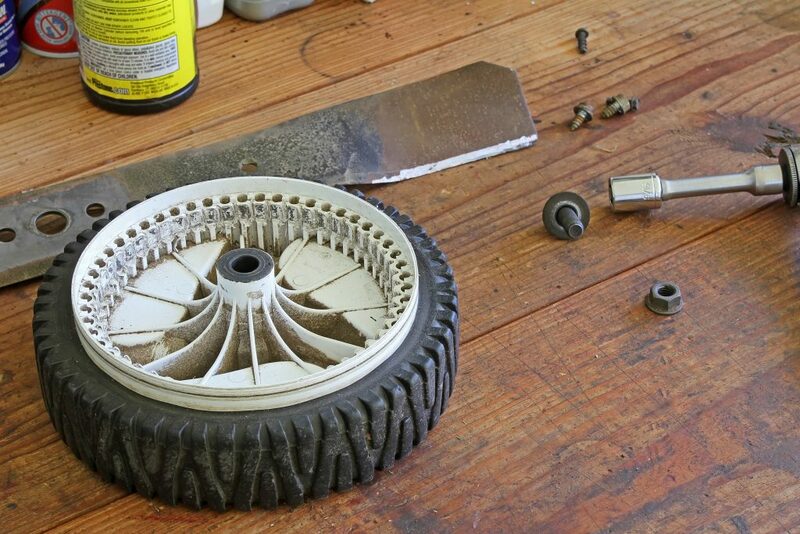 Prevent shredding of grass blades and an uneven mow by sharpening the blades each winter. Don’t skip these essential steps to make your first mow of the spring a great one. ← All I Want for Christmas is…. Turf?